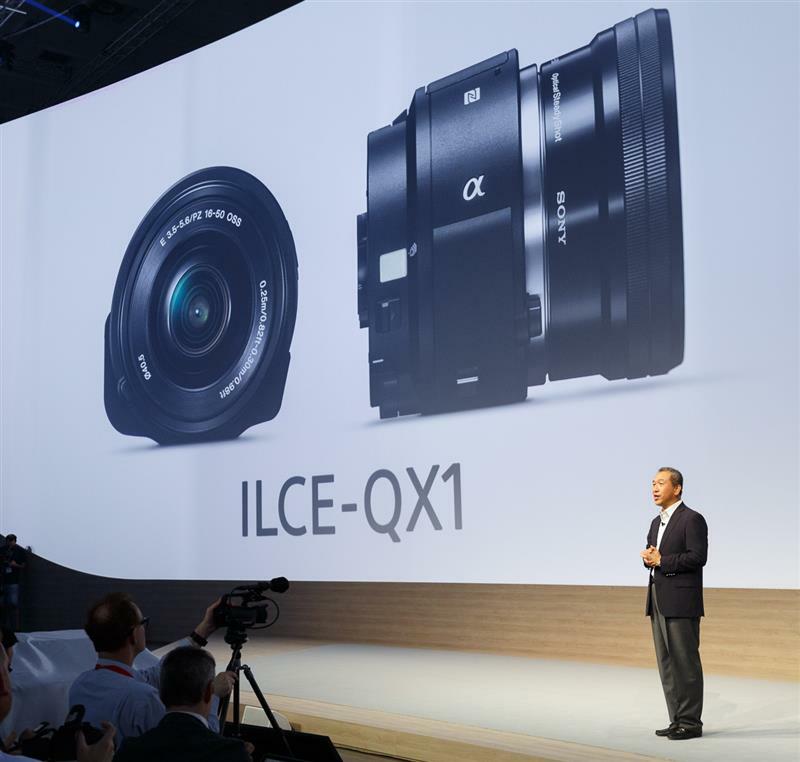 Sony QX1 is a lens camera...without a lens. 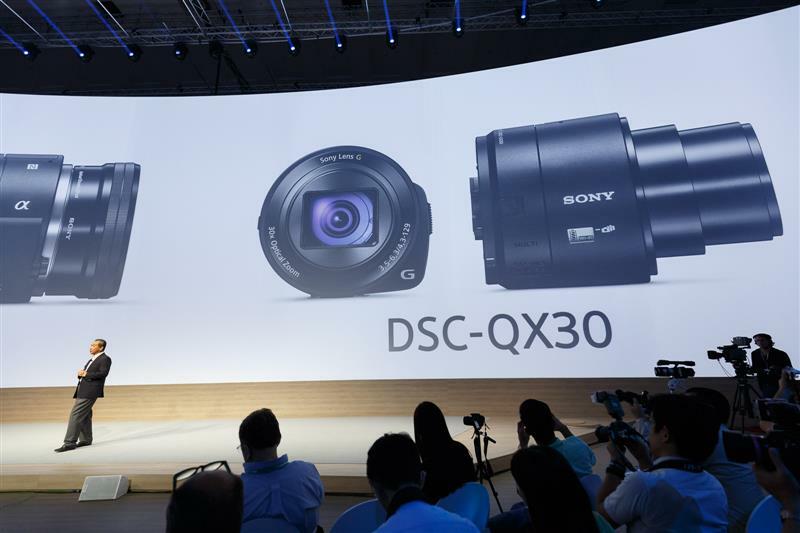 The QX30 has a 30x zoom. 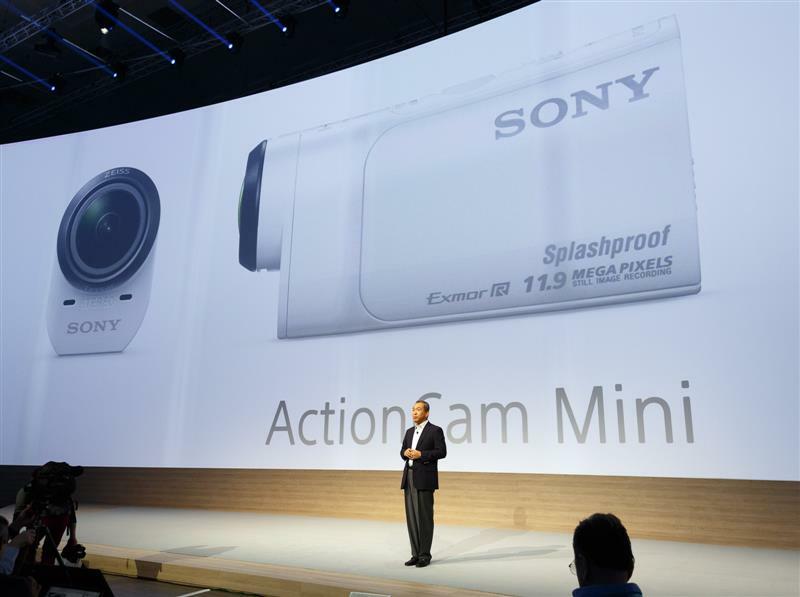 And here's the wearable Sony Action Cam Mini. Qx30 is basically the HX50V without the screen. That was the eyes, now it's time for the ears: we're talking audio kit. High resolution audio gives you "every breath" of a performance, apparently. Sony Music can actually lend some punch to the high-rez audio catalog. Sony released high-res albums include Daft Punk and Michael Jackson this year, with more to come from Kasabian, Pharrell and others. To quote "Men in Black", "Now I have to buy the White Album again." A new MP3 player, the Sony Walkman NWZ-WS613 headphone MP3 player. High-resolution walkman is Sony's first, direct competition for Niel Young's Pono player. 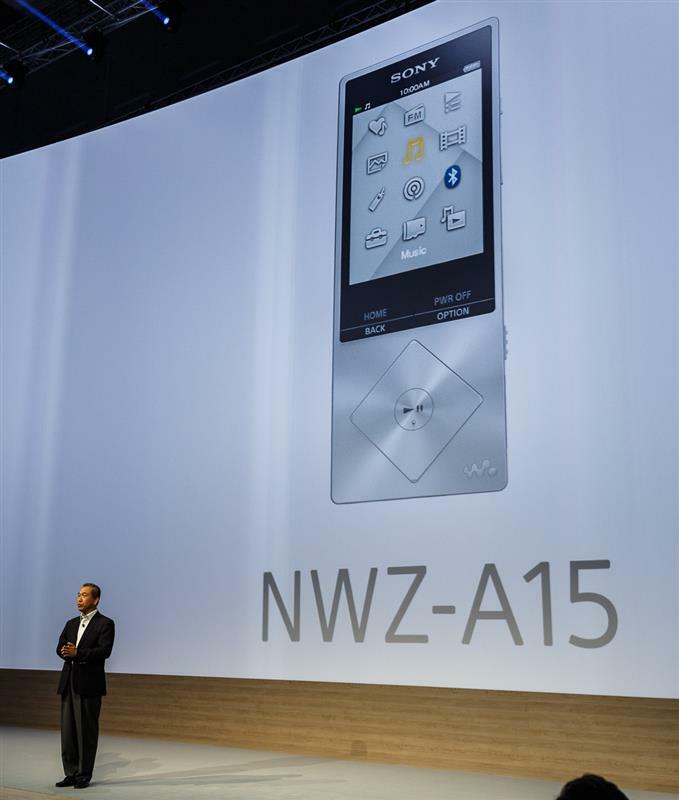 Also a new Walkman, the Sony NWZ-A17 hi-res Walkman. And now we're onto phones: Sony mobile boss Kunimasa Suzuki takes the stage. What we've all been waiting for. Xperia. Can't believe I just typed that. I'm sure this will be quite an Xperia-nce, amirite? Sony has always been Xperia-mental. "We strongly believe that life is a journey." Wow. Deep. That's 23 wows and counting Rich.